Casio releases brands.Resuming traditions such important events as the dealer conference - a very important sign for the market. Resuming traditions such important events as the dealer conference – a very important sign for the market. 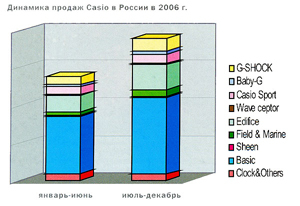 Since the mid-90 Casio has become one of the leading, fundamental brands for the Russian market. Failure to supply, which happened two years ago, and the subsequent restructuring of the supply chain, prices, etc. created enormous difficulties for hundreds of stores. Therefore, the holding company of the conference address several problems. First – of course, information. To talk about their plans to those who sell goods on the ground to end users, it’s best talking to them face to face. At the same time you can get some very important information from retail partners on the situation on the ground, their needs and suggestions. But for Casio June conference was very important as a way to express yourself. Its holding company has demonstrated that he was going to regain the leadership was failing in the market, showed retailers with whom it is from wholesale companies should work, and marked the way forward. What is told representatives Casio and “Group” August “to their partners? Beginning this year, Casio greatly alter your strategy in the market. These changes are closely related to the processes taking place in the domestic and global markets. Changing attitudes and preferences of end buyers are other shopping centers, selling watches, and the position of competing brands. Statistics on sales of different collections in Russia over the last year shows that the proportion of expensive watches in the total is growing rapidly. However, it is uneven. Thus, the G-Shock sales nearly doubled, but the overall level remains low: this line provides only about 8.8% of revenue. On the other hand, the company is very happy with the performance Edifice. The contribution of this collection is growing every year, and today, this line brings twice the revenue than the G-Shock. It is on these two lines will be focusing Casio. Each of them will be turned into a separate, independent brand and medium-term plans include the Japanese company three points: expansion Edifice collection and consolidation of its position, increased G-Shock line and point creation Shop-in-Shop (“Shop in Shop”). Most attention was devoted to the presentation of this particular line of famous models. Its position in different countries vary. Elsewhere, such as in the U.S., it is perceived as a separate brand, whose popularity is much higher than the name of Casio in general. At the same time, in most European countries, this heavy-duty models and could not get out from under the wing of the parent brand. The next few years Casio sets the task of converting G-Shock, in fact, an independent brand and correct emerging imbalances in the image. A special study by Casio to find points to possible growth, showed that many potential buyers perceive as G-Shock watches are designed and suitable only for people involved in extreme sports. On the one hand, this suggests that previous efforts to form a Casio “neubivaemoy” image of G-Shock is not in vain. But the other – so narrow, misperception severely limits the sale. Therefore, the company aims to improve the situation. Will soon be rebuilt advertising policy and delivery of the brand. 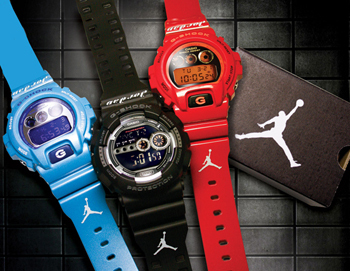 G-Shock watches should not be perceived as being too athletic and too extreme. 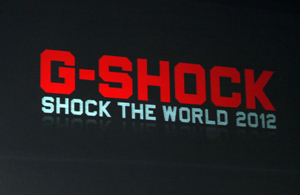 G-Shock will be positioned as a more mature and a more expensive brand. To achieve this, taken several steps. First, change the brand slogan: Tics just like you (“always in time with you”). Thus, the manufacturer wants to show that the G-Shock to be “companion” for life. Changing advertising models. Now they will be something like a cover: bold lettering at the top G-Shock, the slogan of the brand and small letters Casio, in the main part – the clock. It is assumed that such a frame will become a template for instant and widespread recognition. However, it leaves incredible flexibility to create a custom advertising of any models. By the way, the models themselves are also changing. Surprise to anyone who came to visit the “Group” August, “was a new line of G-Styler and the first model of its G-011D. From all the G-Shock it features metal body and an elegant, more” civil “design. Between so all the “protective” features of the model remained the highest level. Incidentally, G-011D was the first G-Shock, which comes in a gilded case. Output of new products supported by advertising in the press. In spring and summer advertising columns G-Shock came out in the Loaded, XXL, SPORTS ILLUSTRATED, “all the football” and a special issue of the “Soviet Sport”, dedicated to the World Hockey Championship. In addition, Casio released the mini-catalog in Russian, telling about the G-Shock, there are new displays, including a special VIP-large display that simulates the test hours to the test. For display in the sales area shops are some interesting videos. Several changes and positioning line Edifice. Now its slogan is: “High technology for real men.” In this series, there was a lot of new models, among which are the hours with carbon fiber dials, numerous diverse chronographs (including a rotating slide rule), built-in thermometer, as well as the first fully digital model Edifice. For this series also released a mini-directory and in print advertising focuses on the model EF-516D-2AVEF and EFD-1000D-1VEF. POS-materials of different sizes can effectively show the collection in the window of any size. Also updated lineup and presentation materials in the collections of Baby-G and Phys. For sports line company offered new display, which has a special card with icons depicting the functions and features of each model. To help customers identify the G-Shock and Edifice as separate brands, the company has developed a set of special trade equipment to highlight the “zone Casio” in the store, to provide a more vivid, high-quality supply of goods. The experiment was conducted in a German store chain Karstadt, has shown that the installation of company equipment gave a twofold increase in sales, and above all in the traditionally weaker trading months. Present at the conference table with the sales in supermarkets has demonstrated the enormous influence corporate advertising equipment: thanks to accumulate the number of visual contacts of shoppers over time sales are increasing steadily. Now, Casio plans to actively introduce new technology in other countries, including Russia. The level of product supply Japanese brand plans to enter into a sure leader, thus restoring its important place in the market. The article can not tell all the information that specialists of the mission and its Casio general distributor – “Group” August “- shared with partners. Certainly not convey the atmosphere of a friendly exchange that prevailed at the time as part of the business, and on the boat, in which, after the presentation, guests riding, and a gala dinner. Their emotional charge, which gave the event, it is best said Tamara Halenkova from Samara: “A week after the conference, our store sold the same Casio, much used to sell all summer”. Casio not going to stop there: such conferences in the future will become regular.